New guidelines for hypertension management could lead to fewer taking blood pressure medication. The guidelines were published this week in the Journal of the American Medical Association and are already generating controversy. Before these guidelines, having blood pressure above 140/90 was considered high. But those writing the guidelines say if you’re 60 or older that number can be at least 150/90 before drugs are needed. Morehouse School of Medicine Professor James Reed helped write two previous sets of guidelines and sees no reason for the change. Meanwhile, hypertension expert Dr. James Wells has mixed emotions. The new guidelines concern Dr. Michael Frankel. Frankel is director and chief of neurology for Grady’s Marcus Stroke & Neuroscience Center and professor of neurology at Emory University. Those creating the guidelines say they did not find evidence for additional health benefits in achieving a blood pressure level of 140 instead of 150 in those over 60. Those writing the guidelines were part of a panel convened by the National Heart, Lung, and Blood Institute. The Institute endorsed previous guidelines, but in June said it would no longer issue them. 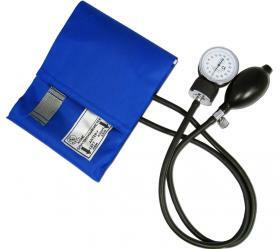 Experts say hypertension increases the risk of stroke and heart disease.